According to the latest reports, George Clooney has called it quits with his most recent arm candy, Stacy Keibler. Shocking, right? Perhaps she finally asked him for a commitment and she showed him the door? 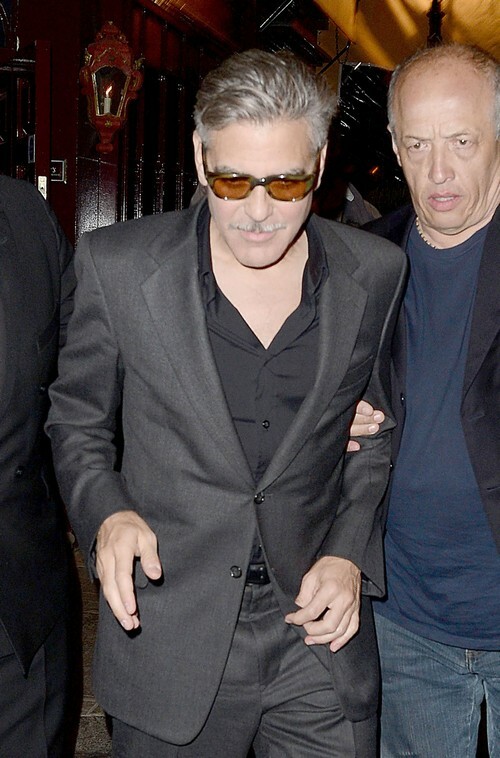 Reportedly, George was busy over the weekend getting cozy with someone who wasn’t Stacy. Uh oh! He was said to be holding hands in London with his former model fling Monika Jakisic! Can you believe it? We were sure that George wasn’t one to really go backwards in the dating game…so we’re surprised, really. We are guessing that Stacy’s contract was up….Ha! He got tired of her, gave her a career boost and jumped ship for greener pastures.